Distances in Estonia are short and every destination can be reached within a few hours. However, Estonia is larger on the inside than on the outside. Local traditions and dialects differ from each other making Estonia seem considerably larger than it actually is. We will take the morning ship to Tallinn where we continue to the town of Rakvere in Viru County by bus. Light lunch. After lunch, we will visit Liliina linen factory. From Rakvere, we will continue towards Toila. A walk in the lovely Toila-Oru Park (70 ha). It remained from the palace built by tradesman Yeliseyev from St Petersburg. The palace that later became the summer residence of the first President of Estonia Konstantin Päts was destroyed in the last war. 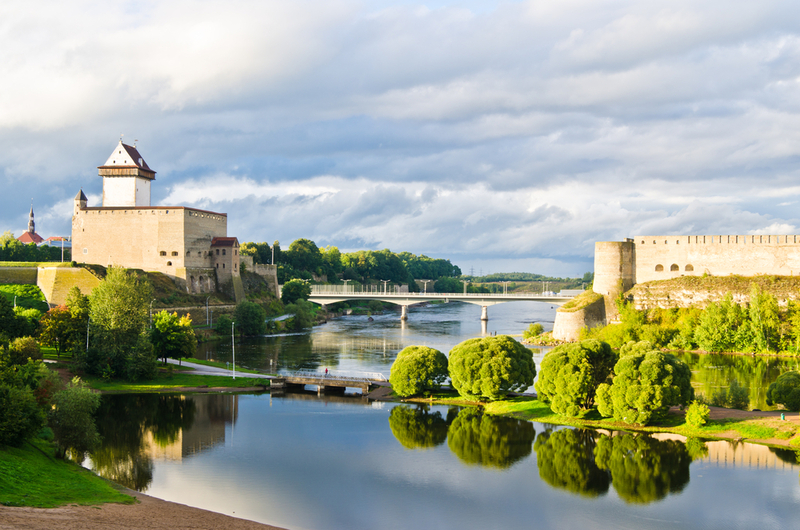 From Toila, we will continue to Narva where we visit Hermann Castle and other sightseeing objects (Kreenholm area etc). Dinner and accommodation in Narva. After breakfast, we will leave Narva for Tartu. We will pass through the town of Sillamäe that used to be a closed “nuclear town” during the Soviet years and we will see the Stalinist neo-classical buildings, incl. the renowned Potyomkin steps from 1940-1950s. The next destination is Kuremäe nunnery established in 1891. We will then continue to Avinurme where we visit the local Wooden Handicrafts Centre with the largest selection of baskets and other objects, sauna products, wooden utensils, toys and small furniture in Estonia. We will continue from Avinurme to Lake Peipus (Peipsi). We will go through the street village of Rajaküla extending over 8 kilometres. The bell tower of the Old Believers’ convent is still an active sanctuary where Gavril Frolov established his school of icon painting in late 19th century. Lunch on the road. We will continue by bus to the beautifully restored Alatskivi Castle reminiscent of Balmoral Castle where we will be given a guided tour. Accommodation in Tartu. After breakfast, we will have a city tour in Tartu. The bus tour allows us to admire various city districts of Tartu: Tammelinn, Supilinn, Tähtvere etc. We will take a walk on Toomemäe Hill. From Tartu, we will continue to Setumaa. An excursion in Seto Farm Museum. Lunch. From Värska, we will continue through Võru to Sangaste. We will visit Sangaste Castle (late 19th century). The beautiful red-brick castle is reminiscent of the Windsor Castle in England. 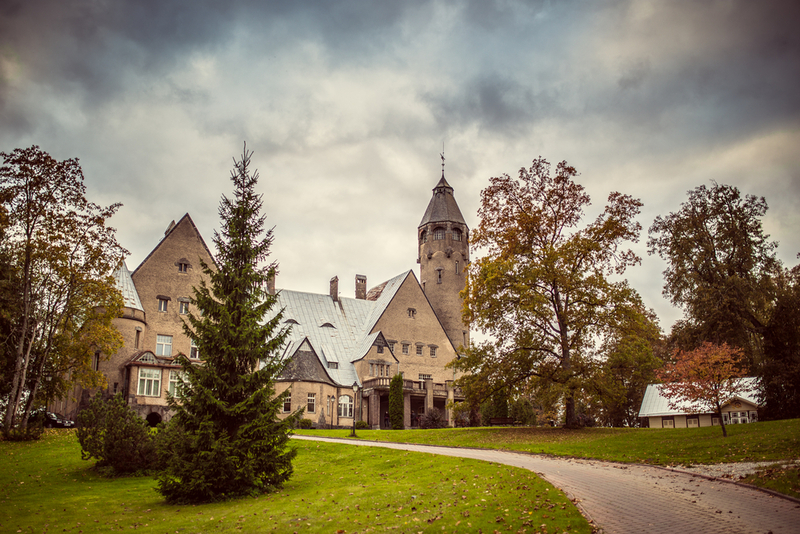 Accommodation at Wagenküll Spa in Taagepera Castle. Dinner. We will start our journey back in the morning. We will drive through Viljandi where we have a short excursion to the ruins of the Order Castle of the former Hanseatic town overlooking Lake Viljandi. We will then drive to Tallinn where we have some free time. Back to Helsinki by boat.